Had space to move in the back row of the away end at the iPro. The dancing Southampton fan was seen at Derby County on Saturday ahead of an FA Cup third round tie between the two sides. The visiting supporter was filmed in the back row of the away end at Pride Park before kick-off. 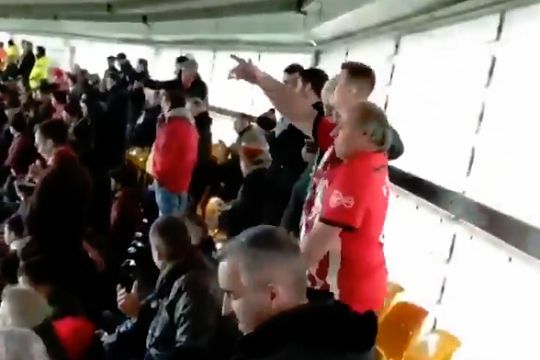 Noticed at a series of matches this season, the appearance of the Southampton fan dancing continues to attract the camera phones of fellow fans seated nearby. The game finished 2-2 after the home side came back to equalise from two goals down, with a replay now set to be scheduled to see which team will progress to the next round of the cup competition.